*Click next to the "virtual tour" field for brand new 3D virtual reality walkthrough tour. * Fantastic opportunity at The Cliffs at Mountain Park, The Cliffs newest gated golf community, located just minutes from bustling Greenville, SC. Prepare to be overwhelmed by the beauty of this mountain home where no detail was spared. 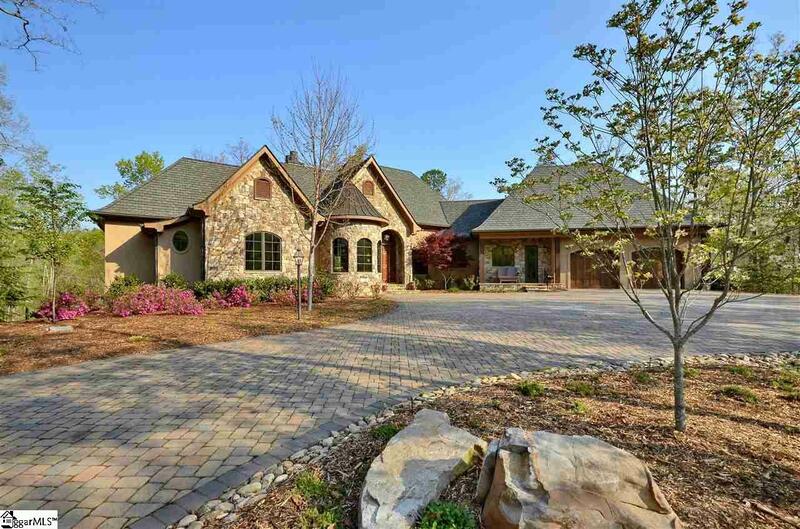 Built by Evergreen Custom Construction this home is one of a kind and offers immense privacy. The remarkable driveway with custom pavers is oversized for parking many vehicles. 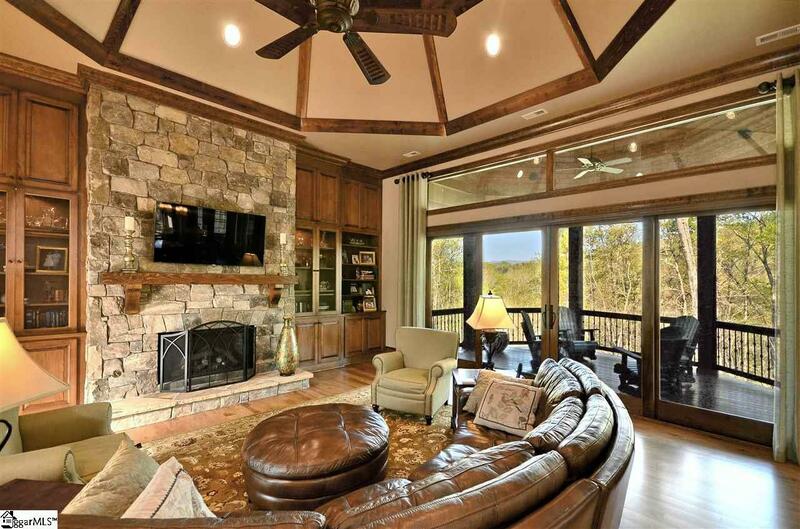 Superb mountain views can be seen from nearly every room on the main level. 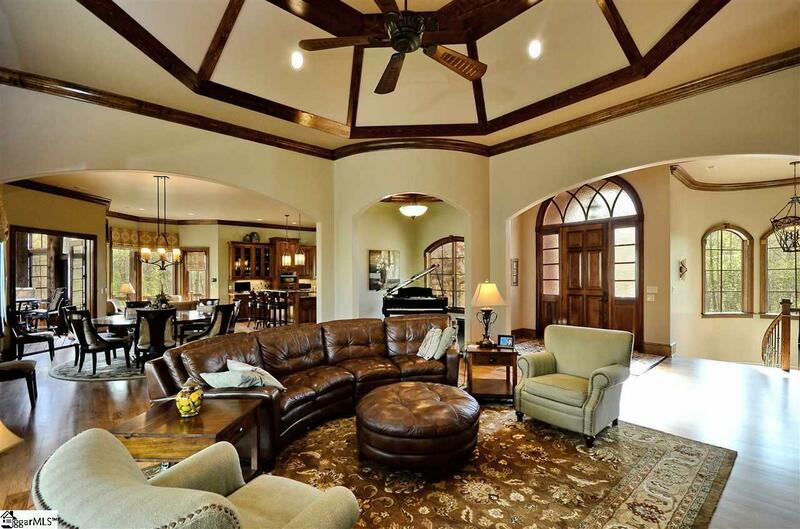 The open floor plan main level provides more than enough space for entertaining with a great room, large kitchen, breakfast room, dining room, and piano room. The master bedroom also resides on the main level and features an adjacent mother-in-law suite that can be used as a study. Your overnight guests will be treated to a gracious lower level that includes two spacious bedroom suites with private baths, a wet bar, and a sizable workout/media room. 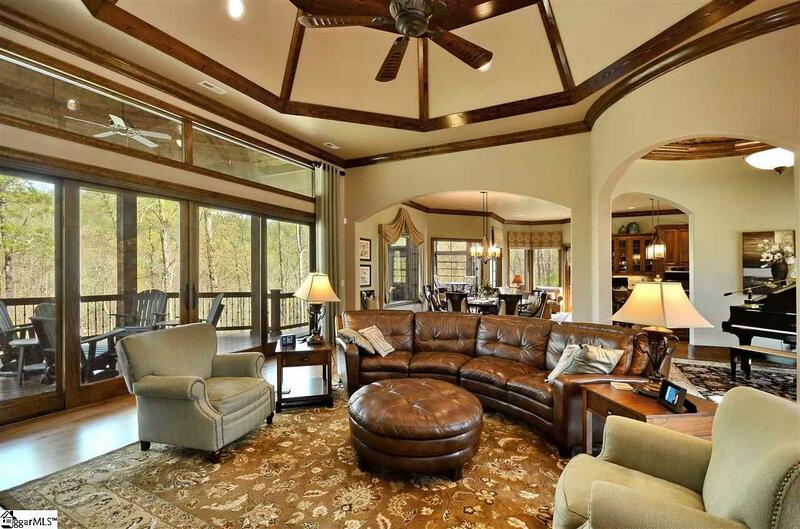 Enjoy year round outdoor living on the partially covered deck, screened porch, and large patio space with a fire pit. This home offers many energy efficient features including a geothermal environmental cooling and heating system and LED lighting used throughout the home. An automatic 20KW generator is included in case of a future power outage. There are also two 240 volt outlets in the garage compatible with electric cars. Furnishings are now included with the sale. Pool table conveys with property. A Cliffs Club membership is available to purchase with the real estate.